Salmonflies are the only insects that have “in-complete metamorphism.” Meaning that they only have two stages in their life cycle. The first is being a nymph, living in the river or stretch between one and three years. Crawling on the bottom of our freestone streams foraging until the water temperature and timing is right. 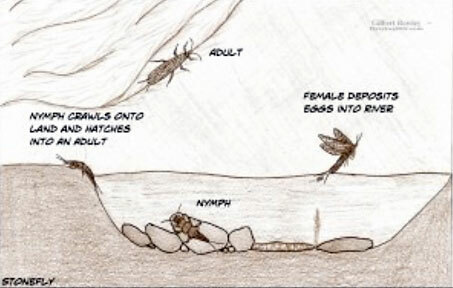 Depending on the species these nymphs can be between 1/2” and 3” in length. When everything is right these insects crawl to the edge of the river, onto the bank, willows or dry boulders, split their nymphal husks and emerge as winged adults. Salmonflies or Pteronarcys Californica (latin) are the largest and generally hatch on the Madison, Gallatin and Yellowstone rivers in late June and early July. 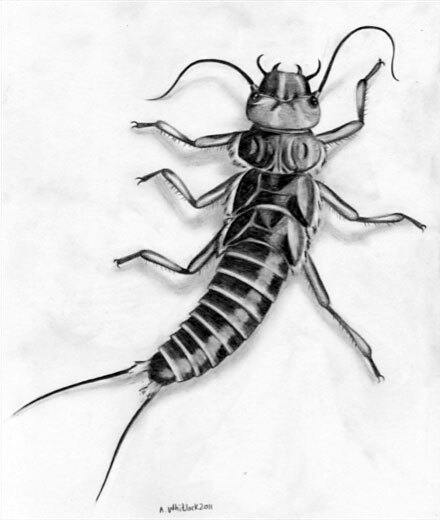 These large western stoneflies are a delicious delicacy for trout and they have a hard time refusing them. Gorging themselves until they cannot digest not one more. Interesting enough the hatch generally starts downstream and progresses upstream depending on day time and water temperatures. Sometimes the hatch moves as fast as 7-10 miles a day or as slow as 1-3 miles per day. Following this great hatch are the golden stones which are just a bit smaller but still a super sized meal for the trout. Our next stone fly hatch is the little Yellow Sallie. A much smaller stonefly usually found in sizes 10-14, but still a great fly to match the hatch and fool our trout with. 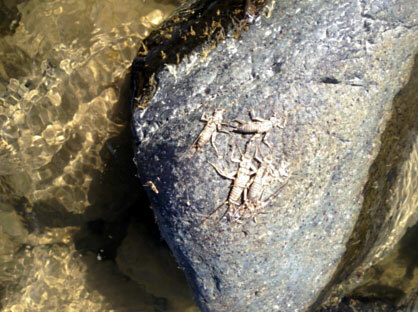 Some rivers in our area even have a hatch of early season stoneflies known as Skwala’s. As early as April these clumsy, bugs skip and flutter around looking for a mate and are easy prey for the trout. Late summer on the Yellowstone River we have a stonefly that hatches known as the “nocturnal” stonefly that trout have a hard time resisting. I have written a few blogs on this bug and it is one of my favorite to fish. 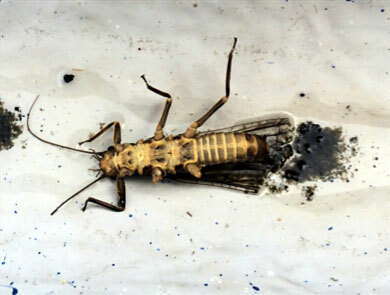 Hatching at night these stoneflies are flightless and are easy targets for hungry trout. 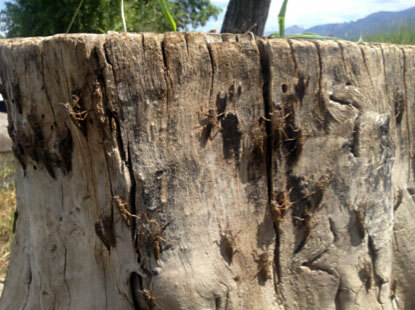 I have been camping on the Yellowstone River when these size 6 stoneflies emerge at night and crawl around the campfire. When the sun hits the river it’s time to tie on a big dry and cover the water. Many of our rivers in Montana have many different hatches of graceful, delicate Mayflies and Caddis. This is meat and potatoes fishing. Big flies on big waters for big fish. Successful fly fishing for trout in Montana is a result of taking the time to educate yourself and learning more about insect life.